I’m assuming that you guys will now be a little familiar with Japan’s Advance shop. I may have portrayed slightly skewed views and made inaccurate assumptions about this well known establishment – something I briefly touched on in my last two car features – but for some reason I had it in my mind that these guys predominately tuned and looked after Honda NSXs. As you can see from these initial shots that I took during my visit there, that sentiment couldn’t be further from the truth. 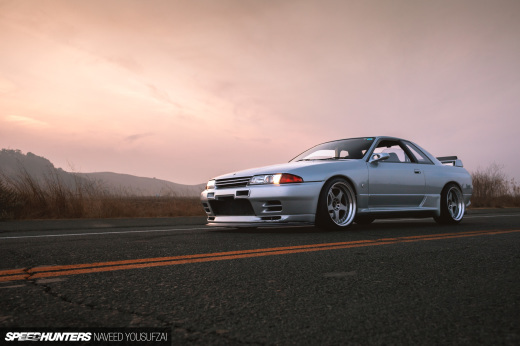 Of course, Advance does its fair share of work on Honda’s iconic NA1 and NA2 chassis cars, but there are a ton of other customers that show up in all manner of machinery – JDM and otherwise. This was all rather interesting, so as soon as I met up with Masa and his crew, it was time to wander around and see what I could find. 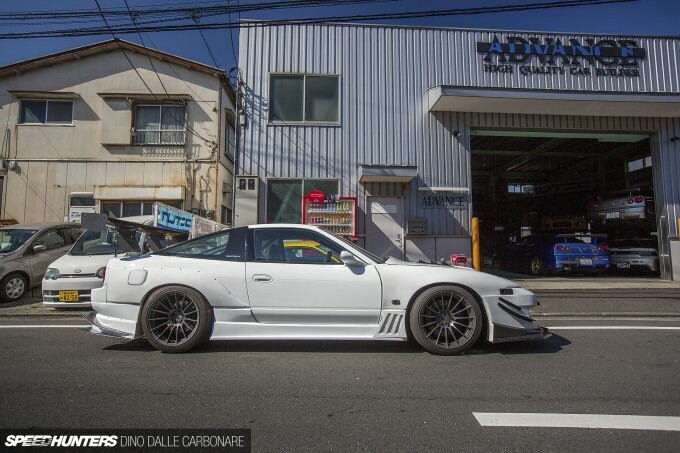 Along with the Garage Mak kitted S15 which we’ve already seen in detail, there was this rather hot RPS13 sporting a complete aero kit from the Nagano-based shop sitting right out front. 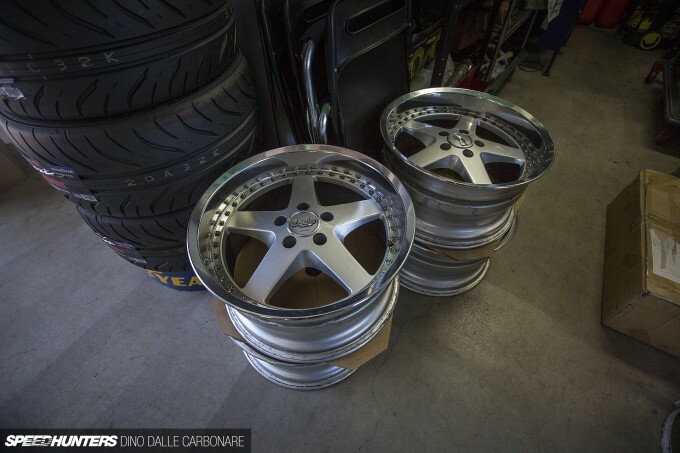 I thought the Enkei RS05RRs were a great choice – especially the wider rears with a more evident concave profile. 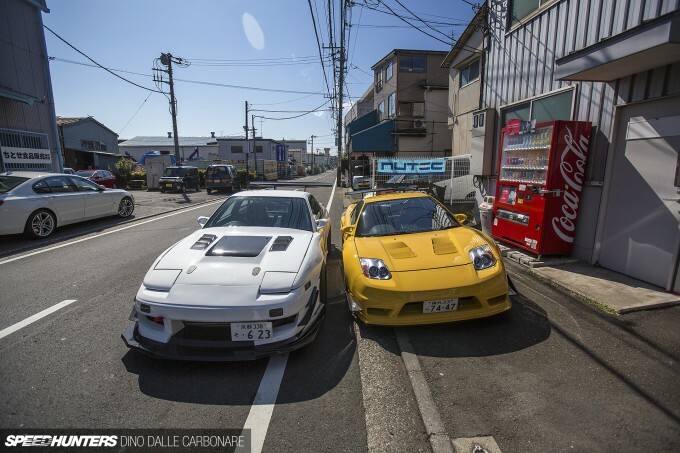 Ever seen a 180SX parked next to an NSX? Doing so certainly makes the old Honda look rather compact! I can’t help but wonder what kind of stance the new NSX is going to sport, but I’m guessing it’ll be quite a bit chunkier than the Nissan, such is the evolution of cars. 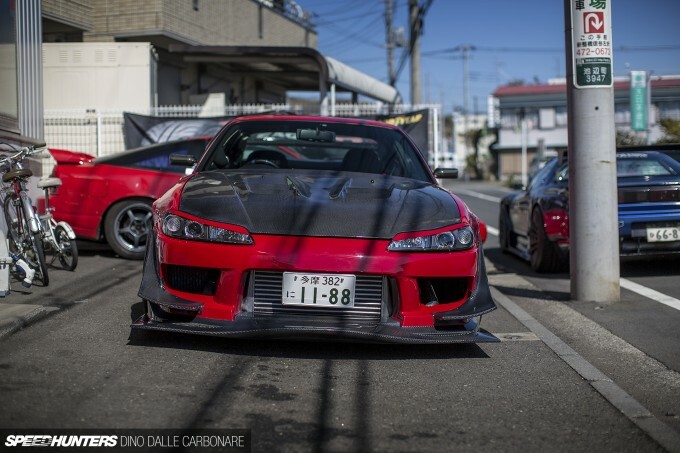 Oh, and here is the red S15 – just in case you forgot what it looked like! 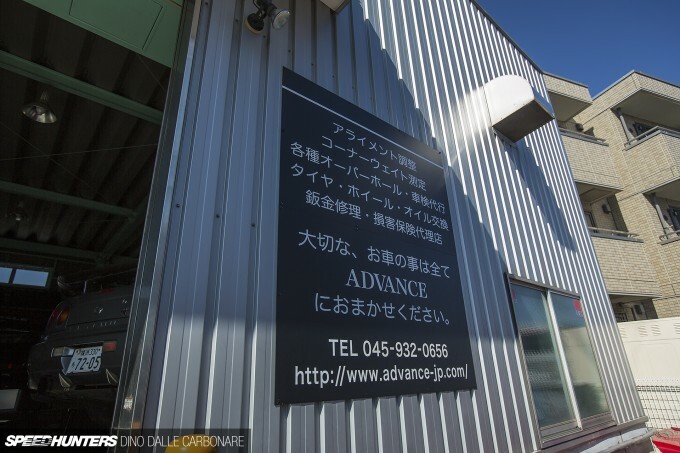 Advance has been based in various locations in the past, but always around the Kohoku area of Yokohama – an industrial district filled to the brim with car shops, car tuners and car dealers. To give you an example, Revolve is a two-minute walk down the road, Midori is four, while T&E, Do-Luck, Weld, Garage HRS, Garage G-Force and many more are only a short drive way. 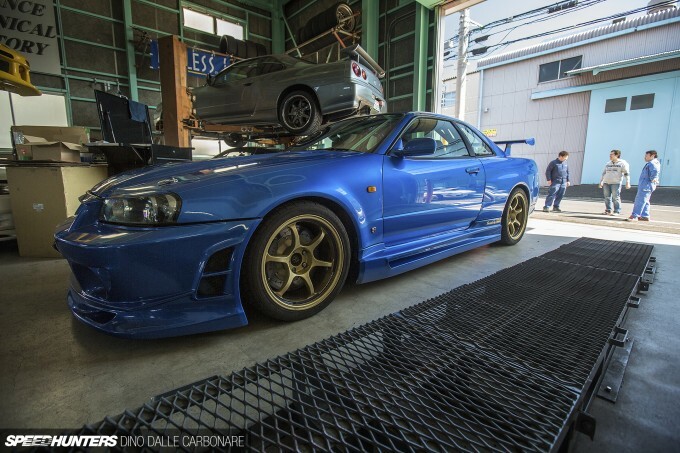 It’s a performance tuning goldmine! Inside, the workshop was absolutely packed-out with cars, with literally no more space available. 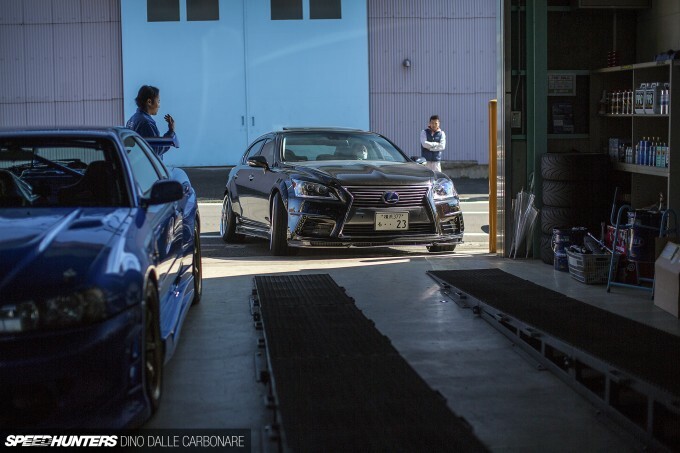 Masa told me that in a couple of days time Advance was running a soukoukai session at Fuji Speedway, and that all participating customers had brought in their cars for prep work: engine and transmission oil changes, alignments, wheel/tyre swaps and the like. Here’s a wide look at how things were set up inside, car lifts doubling up as stack-type parking! I was having a hard time keeping away from this Bayside Blue BNR34 – its lure hard to resist. Of course, I had to ask Masa about it and he told me it was running a simple turbo upgrade and a bunch of basic mods for circuit use. That may have been a slightly downplayed description of the car however, because the Endless mono-block brake kit it was packing costs as much as a new sportsbike! 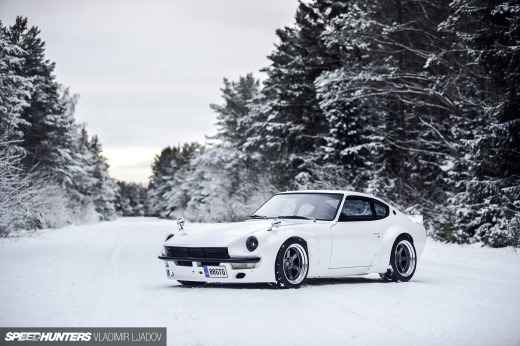 Tucked away was a simple and super-clean 32 GT-R sitting on Work wheels. Little did I know, but Advance also specialises in Mazda rotaries! Their FD3S RX-7 demo car was up on a hoist awaiting a freshly built 13B to be dropped in. 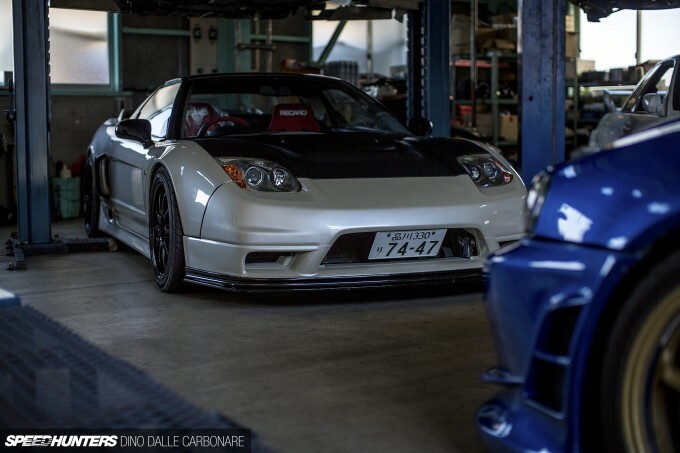 It was hard to ignore this appropriately-lowered pearlescent NA2 NSX sitting in the back, which just looked so damn hot with its countless carbon additions. If I ever got one of these cars I now think I could probably live without the NA1’s pop-up lights – something I always thought were a must. People in Japan often stick temporary plates on their cars when it’s time to take them to a track day. When your car has no chance of passing the shaken test, it’s an easy way to get it to and from the track without hiring a flatbed. It’s still a bit of a loophole as these plates aren’t meant to be used in this way, but as long as you behave – and we know everyone always does in Japan – there’s usually not too much to worry about. This very rare Porsche 964 Turbo 3.6 was also going to be entering the Advance track day and was in for a set of new front discs. Despite less than 1,500 examples of this model having been made in 1993/4, it’s great to see people driving them and using them properly. The Japanese are really good at this – they look after their cars but at the same time use them the way they were intended to be. The alignment rig at Advance is in constant use most days, with one experienced technician taking care of this service. 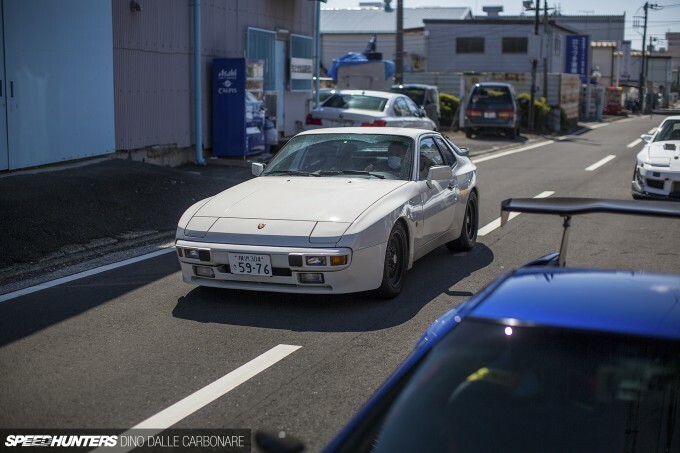 While I was there this automatic Porsche 944 was being set up. It’s always cool to wander around shops, as no matter how big or small they are you’re always guaranteed to find interesting items – in this case a set of legendary Work Equip wheels. Advance’s workshop has a few nooks which are used either for parts storage, work benches, or more labour-intensive jobs. See what I mean about finding cool stuff? Rummage around a bit and you never know what you will come across. 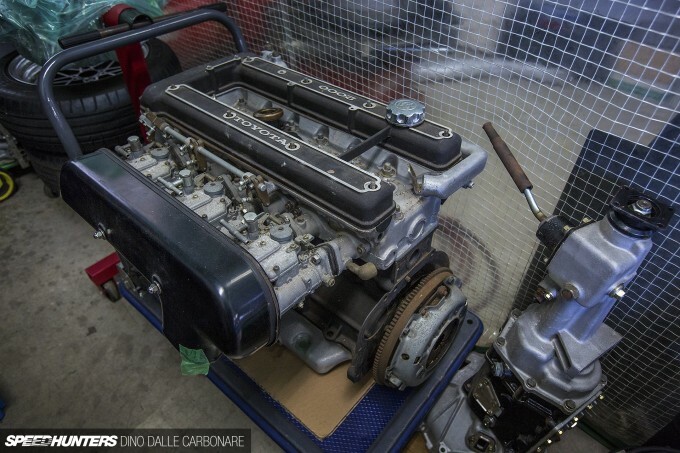 This extremely rare 3M engine is out of an equally-rare Toyota 2000GT and was at Advance to be completely stripped down and overhauled. It’s definitely not something you see every day! This Endless poster for their Function suspension caught my eye. That has to be the most awkward angle I’ve ever seen a model showcase race suspension. There must be a hidden message here, but I haven’t figured it out yet! 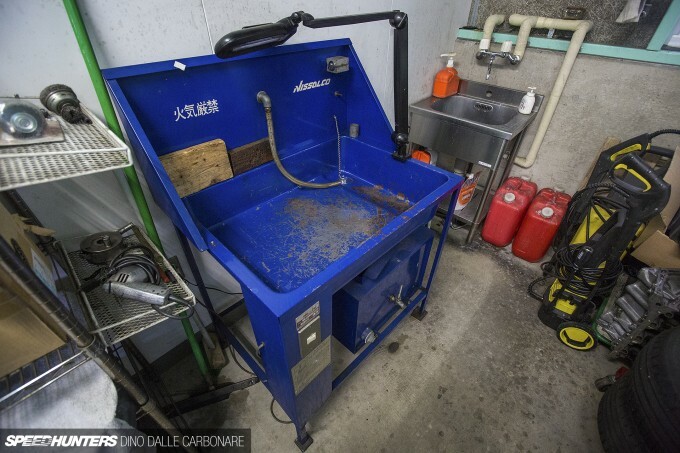 There’s even a small machine area with a few basic tools, and a tyre changer. 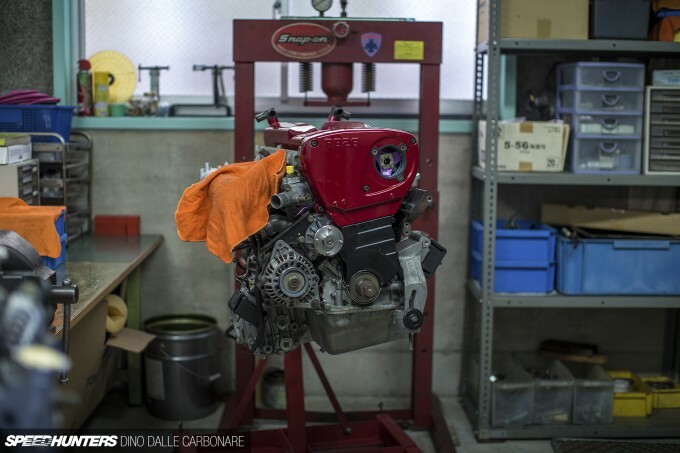 The real interesting stuff, however, was being kept in the engine build room. 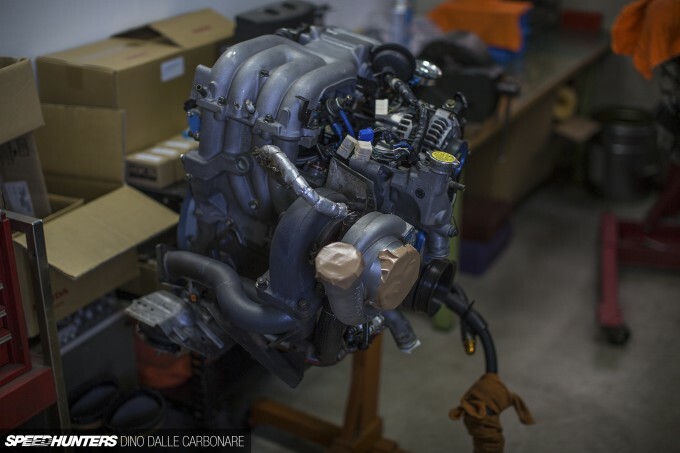 This freshly-built RB26 will soon be fitted with an upgraded set of turbos and then dropped into a customer car. It’s painful to see as it reminds me that my car is almost there. All I’m waiting on is one final part to arrive, at which point the engine can finally be fitted with a ton of shiny new bits and pieces. Patience is indeed a virtue. Remember the FD3S demo car I showed you earlier – here’s its 13B engine. Once it’s all bolted and plumbed in place, it’s definitely a car I want to do a feature on, simply because like the NSX, it’s been evolved countless times over the years by Masa and his father. 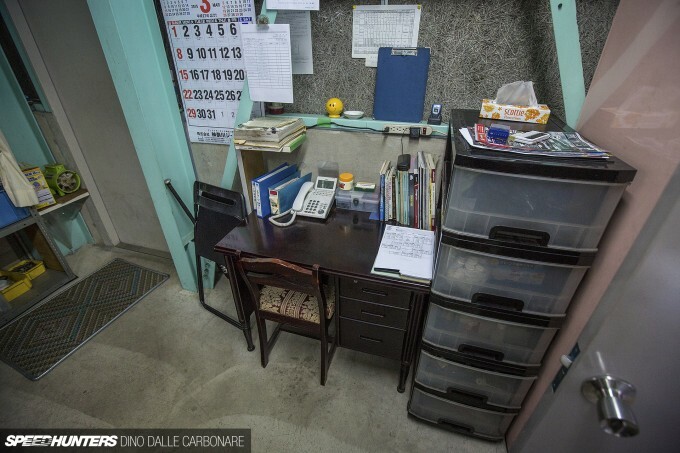 The engine room also doubles up as a little office space, where the day-to-day operations are run from. Advance can pretty much cater to anything customers may require, from simple wheel alignments to full ground-up rebuilds. 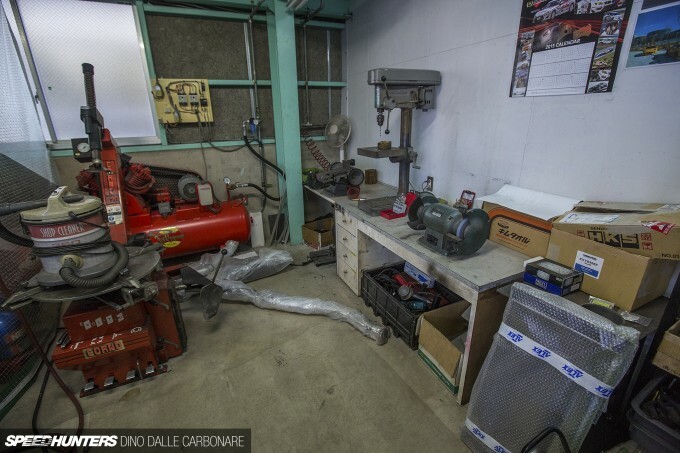 One thing they’re unable to offer, however, is dyno tuning, which is simply down to the fact that there are many small apartment buildings and houses scattered around their shop and it would just be too loud for the neighbours to put up with. That’s why they take their cars to a local shop they collaborate with when they need to map ECUs. 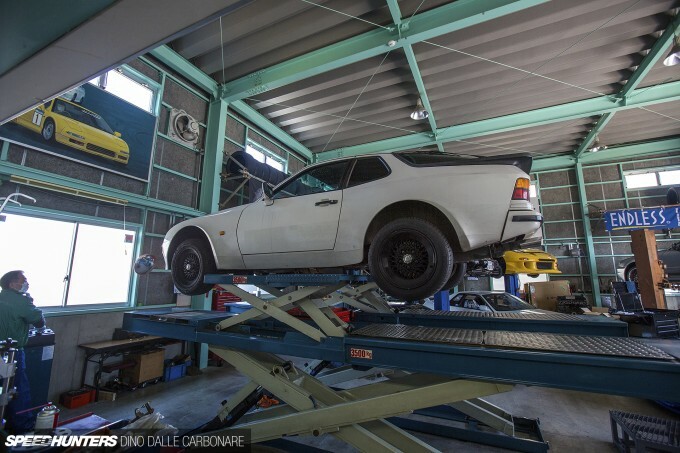 With the alignment all sorted on the 944, the car was taken off the rig for drive around the block to make sure everything was just right. 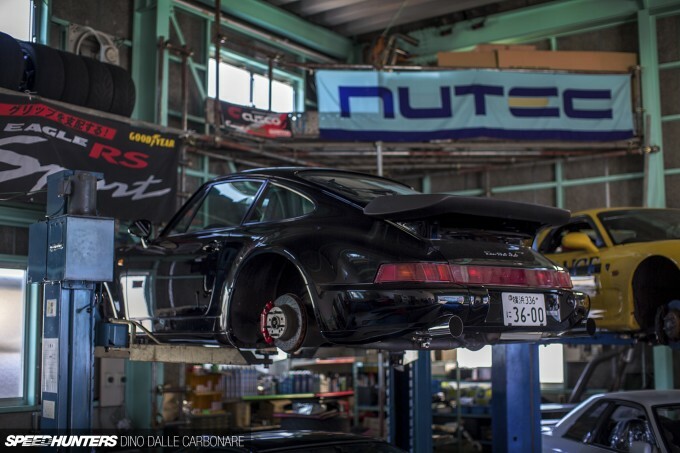 The big LS was lifted up on its air suspension and carefully driven inside the shop. It was there to get an alignment too. There was so much variety in the Advance shop that this big luxury sedan didn’t at all look out of place. This is Japan after all! I’m glad I finally took the time to find out about Advance and its operations. I went in there expecting to see lots of tuned NSXs, but instead discovered a small group of car enthusiasts working hard to cater to their customers’ needs, no matter what sort of car they may be driving. In America a lot of these things might be hard to find. In Japan it is abundant. 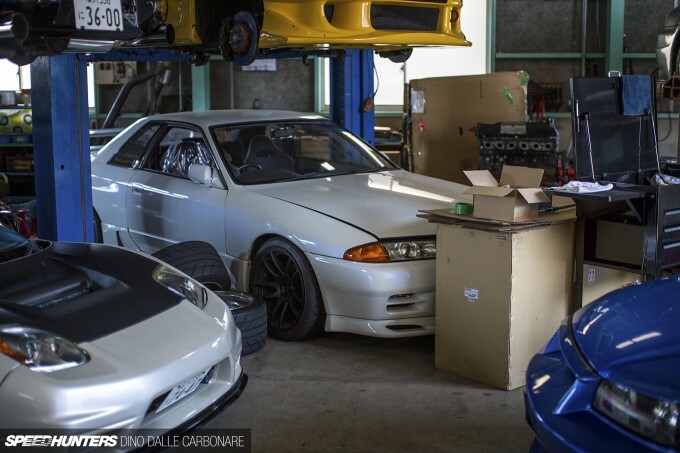 Speedhunters need to do a piece on junkyard hunting. You wouldn't believe what people scrap. Perfectly drivable cars getting junked. ryukyustriker Well I think they have shown at least one Japanese junk yard but I think it was mainly a collection of complete old cars. A piece with a trip to a regular Japanese junk yard would be cool. They had the Kyusha Graveyard feature a while ago. Unless you mean more parts than cars. 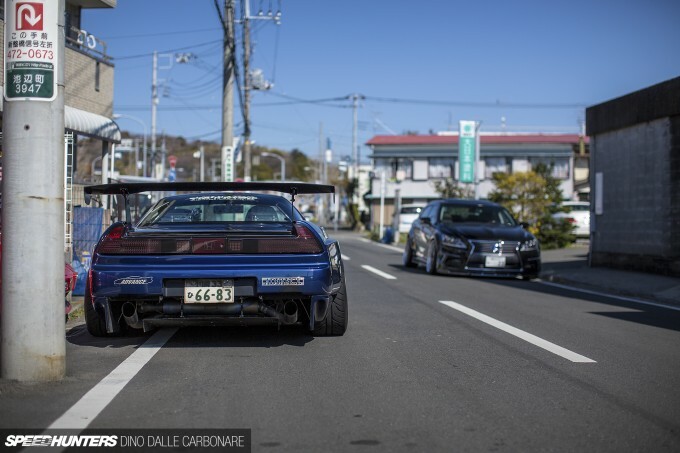 MikeedelMundo Smiggins tunerguy21 Naw You see I grew up in japan. We were straight junkyard hunting for parts all the time. Its was crazy. We would go racing for drifting and before you know it some one wrecked and we need to get parts or they would destroy a transmission or engine. It was normal and I just wish they would have a piece like that. We weren't rich but parts were actually decent in prices and affordable. They need to show a piece like that. A every day normal guy hunting for parts to fix his car he broke and his friends getting together to fix it. That is the story I wanted to share. Hi Dino, could I please have the address of the workshop? I'll be in Yokohama in June and interested in stopping by to have a look. No that is someone's secret hordeing cars. I am talking big junkyards with cars stacked. The hunt! Wish I could post pictures. Man I am in the wrong line of job. 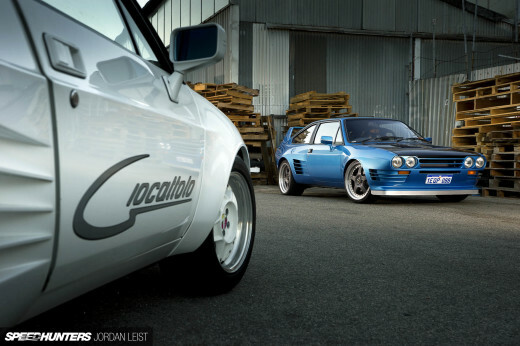 I should have been working at speedhunter. Crazy stuff Dino! 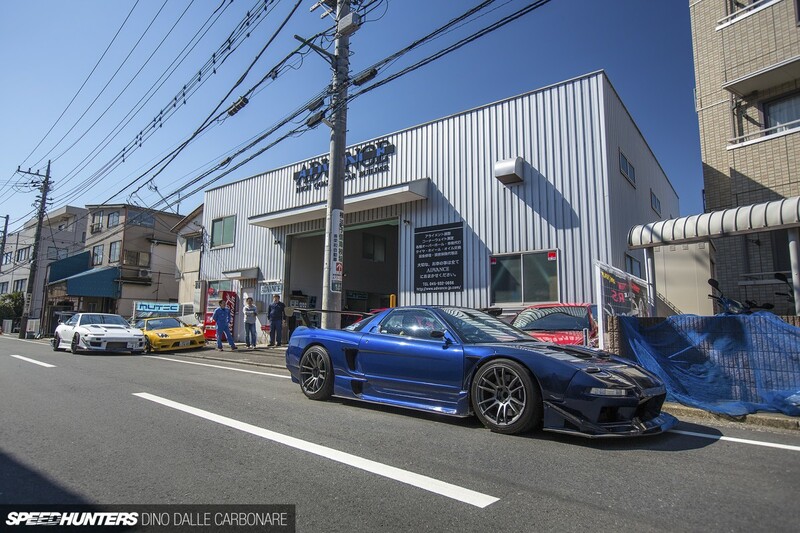 If I ever do get my hands on an NSX, I know where to send it to. 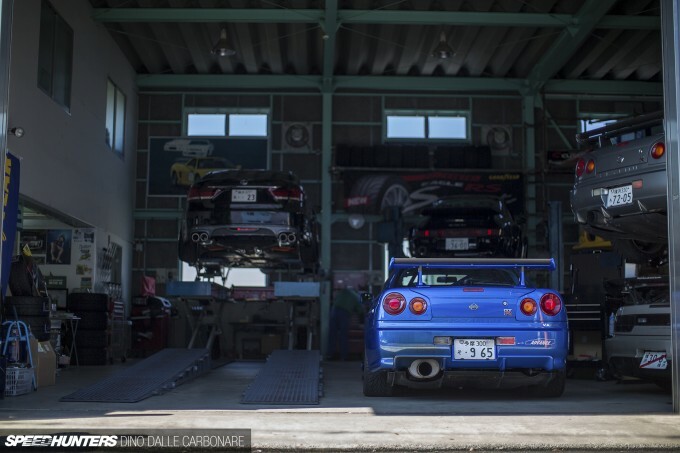 One of the few garages in Japan that doesn't have the green floor! I love such articles about workshops - I can't wait to see more of them! You opened the door to hundreds of possible features.... Then there's the shops down the street!! I really enjoy these types of features! As I said before, you are THE Speed Hunter. As d_rav saida, you opened the door to hundreds of possible features, being cars, shops, or both. Can't wait for your next post! Cool article mate, the coverage you provide is really inspiring! Wow! Granted that the S13 had a wide body on, the S13 and NSX are of almost the same width in that shot. I haven't seen an actual NSX before, but I've seen a stock S13 roaming around these parts and that just put everything to perspective. Cool post! @Speedhunters I was wondering if you guys could do an article on drift rc cars? Unfortunately I don't know where to look but I'm certain that the community is big enough in the US and most likely in Japan too! Keep up the great work! jay8393 They'll be happy to work on it! 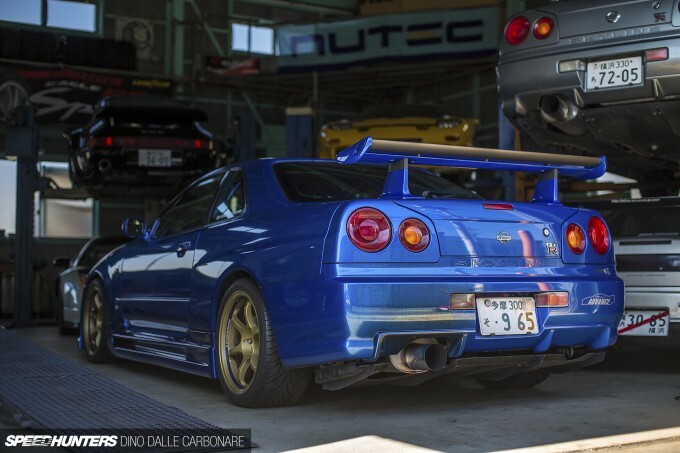 speedhunters_dino Hoonigan22 Even a video with you just walking around the shop, discovering as you go would be brilliant! Keep up the good work!